Defence Research Laboratory (DRL), DRDO, Tezpur. 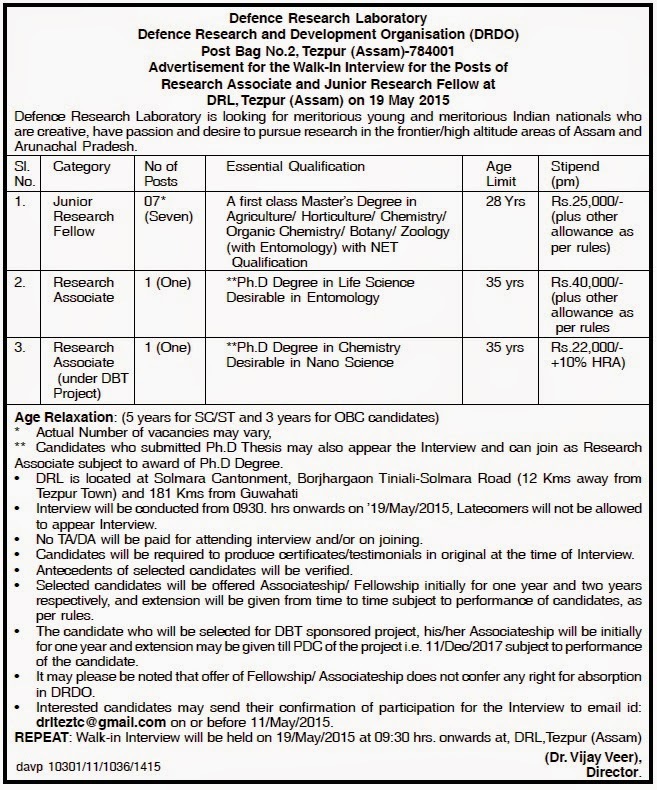 Defence Research Laboratory (DRL), DRDO, Tezpur is looking for young and meritorious Indian nationals who are creative, have passion, and desire to pursue research in the frontier/ high altitude areas of Assam and Arunachal Pradesh. Walk in date : 19th May 2015 at DRL Tezpur at 9.30 hrs.